This year we’ll be posting regular updates on the improvements we’re making and new features we’re shipping in Intercom. 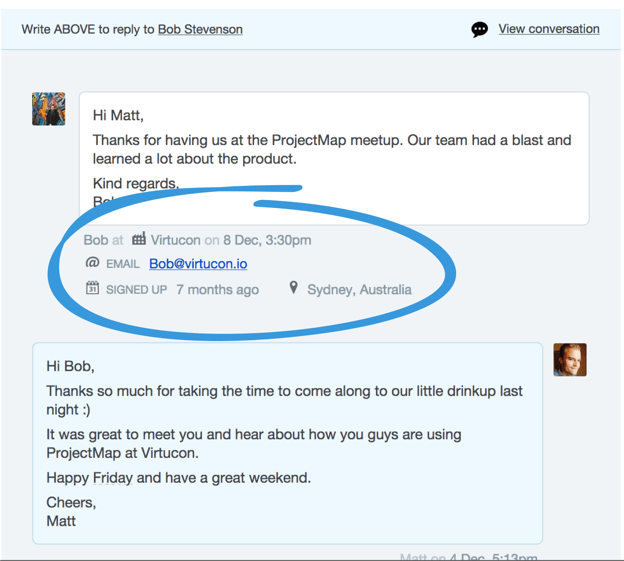 We’re kicking things off by highlighting the new Intercom features we shipped to close out 2014. In December, we released several new features and wrapped up some critical projects to help build a solid foundation for 2015. Having more than doubled our engineering team throughout last year, we’re really excited for what’s to come this year. 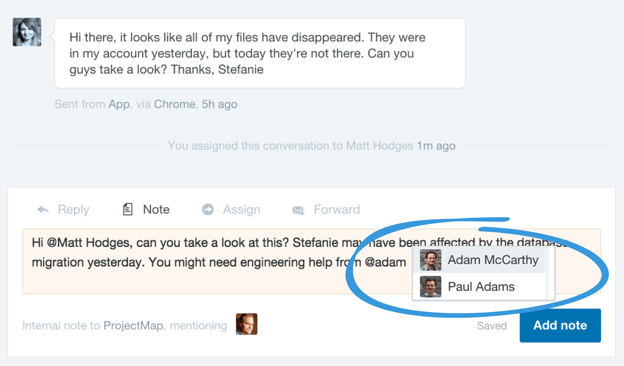 Collaborating inside the Intercom inbox was made a lot easier with the addition of Mentions. 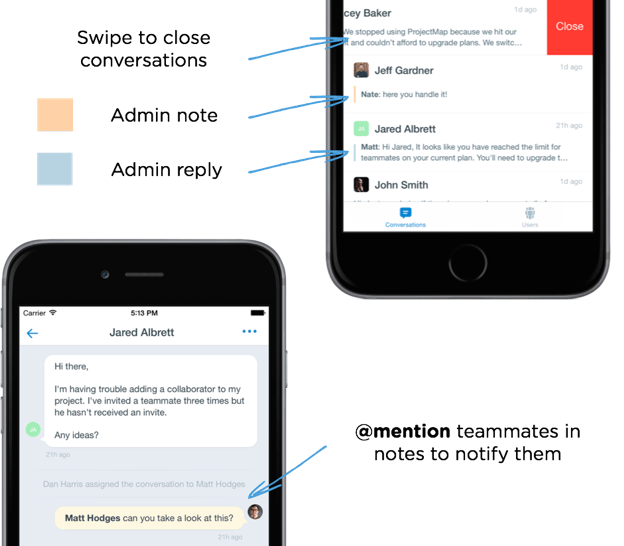 Now teams can notify each other and loop new people into conversations to help solve customer issues together, faster. 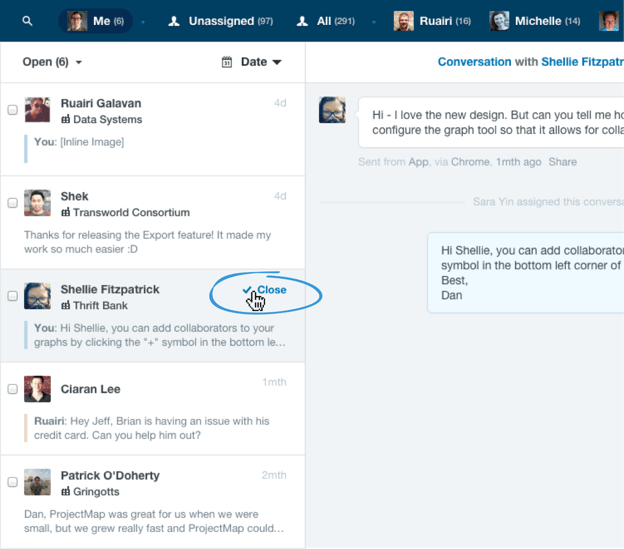 No need to leave Intercom to send an instant message or email a co-worker. Just @mention them in a note and they’re clued in. We received a lot of feedback on the new inbox we shipped in 2014; it’s been a big help for support teams, but there’s still a lot of room for improvement. 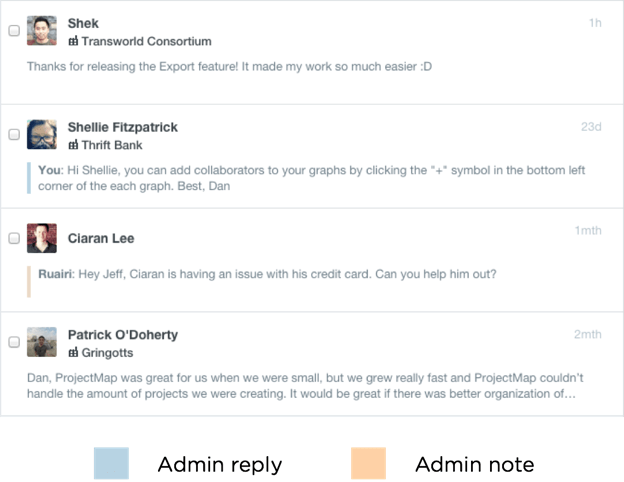 Last month, we added color coded conversation actions to the inbox’s conversation list. 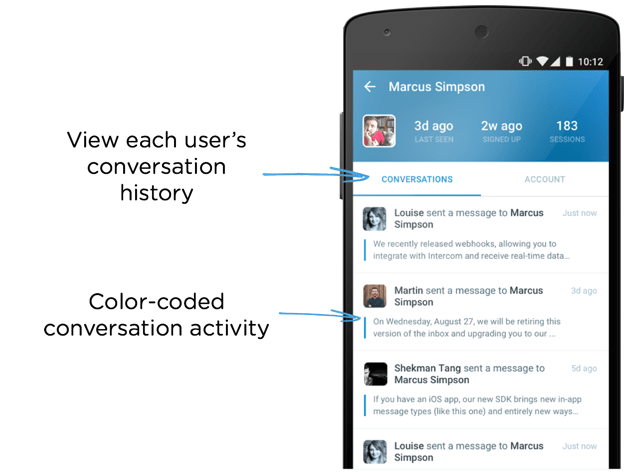 Now it’s easy to see what the last action on a conversation was: whether a reply from a user, admin, or new note. Notification emails are critical for staying on top of things when you’re logged out of Intercom. Our old notifications were great for relaying new messages, but sometimes it’s hard to remember who’s who when you’re away from your desk. Our new notifications include a brief profile of each user alongside their message. Much of the feedback on our new inbox was focused on managing customer conversations more efficiently. In December, we made it possible to close conversations without having to open them first. Less clicks = faster support = happier customers :-). In December, our Android app received several design improvements and a Conversations tab to the user profile. We also introduced color-coded activity notes in conversation lists to help you manage your inbox on-the-go and prioritize what needs your attention. When you announce a big feature, or receive a gleaming customer testimonial, it can be beneficial to share it with an external audience. Sharable customer quotes and messages made this a simple, quick task. For example, John, who edits this blog, uses the message share feature to tweet our weekly email digest which he sends to our subscribers. The customer quote feature allows teams to publicly share a customer testimonial, straight from the inbox. That’s it for this update. We look forward to the loads of new features and improvements we’ll be bringing you in 2015. Look out for the next What’s New post, and, as always, if you have any requests for things you would like to see in Intercom, drop us a line at team@intercom.com.